At P2PU, Badges are a way to get feedback on a learning project. You can create Badges and associate them with your course. As the Badge creator, you will automatically be an "Expert" and possess the Badge. As other people apply, you can award the Badge to them and create a band of Experts to help give feedback. 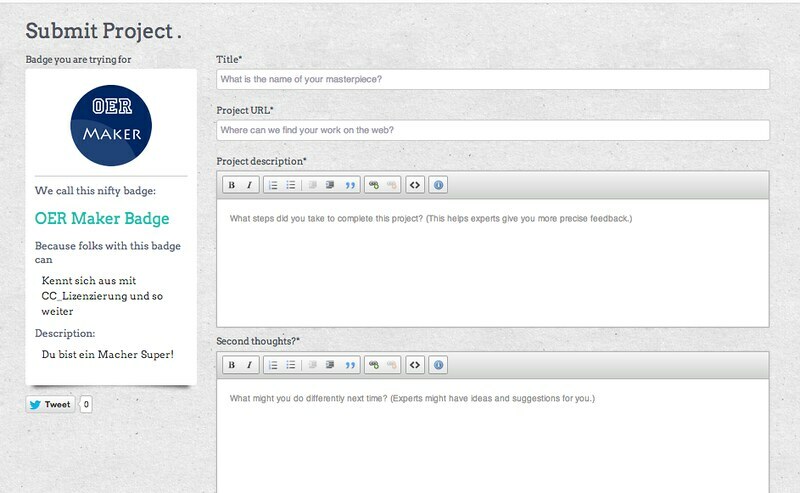 When a learner submits a project, our platform prompts them to write a bit of reflection around it. This is mean to prompt self-assessment on behalf of the learner, and gives some context to the Expert when they are evaluating the project.